Louise Liliefeldt performed Friday October 6, 2017 at VIVO Media Arts. Read the full review in Friday highlights: LIVE2017. Louise Liliefeldt performance. Photo by Saman Shariati. Louise Liliefeldt participated in an artist talk with Stein Henningsen, Tanya Doody and Jackson 2bears at Pat’s Pub on Wednesday October 4, 2017. Still In There is a reworking of some actions I used in a performance I did at the AGO in November 2016. The topic that spawned this piece is Dementia. It is a big subject and has been on my mind for some time now. I have a parent in their ninth year of suffering from the disease. Unlike victims of murderous deaths where lives are taken in a short period of time many illnesses, like Dementia feel as though someone living with the disease has been sentenced in a way to stretching out the pain of the loss of memory and stretching out the act of dying. I wonder what it is like inside the mind of a person suffering from Dementia. I wonder about what is remembered and why. 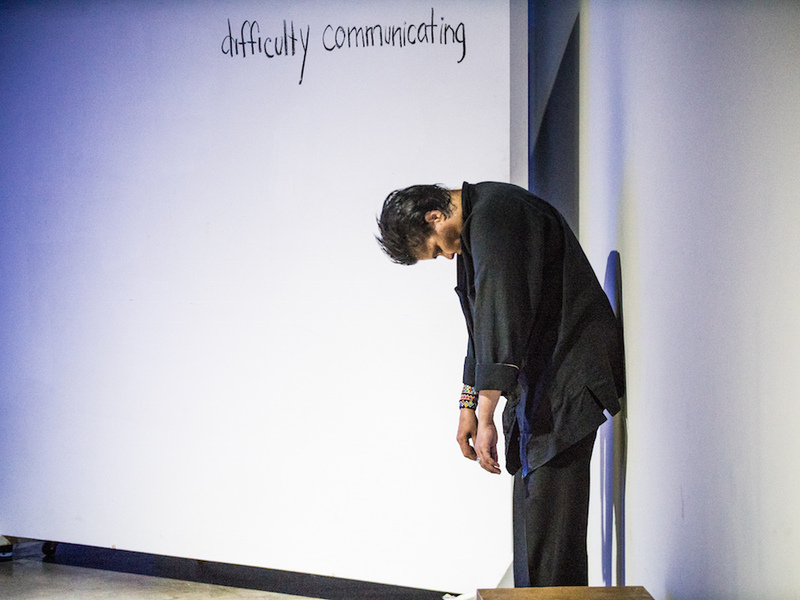 There are too many questions to answer so in this performance I am simply creating images and actions that are representations of the many thoughts, experiences and confusions I have relative to the above mentioned subject matter. I will also be incorporating some new actions, some of which are animal-like in nature. Louise Liliefeldt is a prolific and committed performance artist with an impressive professional exhibition history. Her work has developed consistently over the past decade, driven by disciplined research into the possibilities of live presence coupled with a willingness to take intelligent risks. 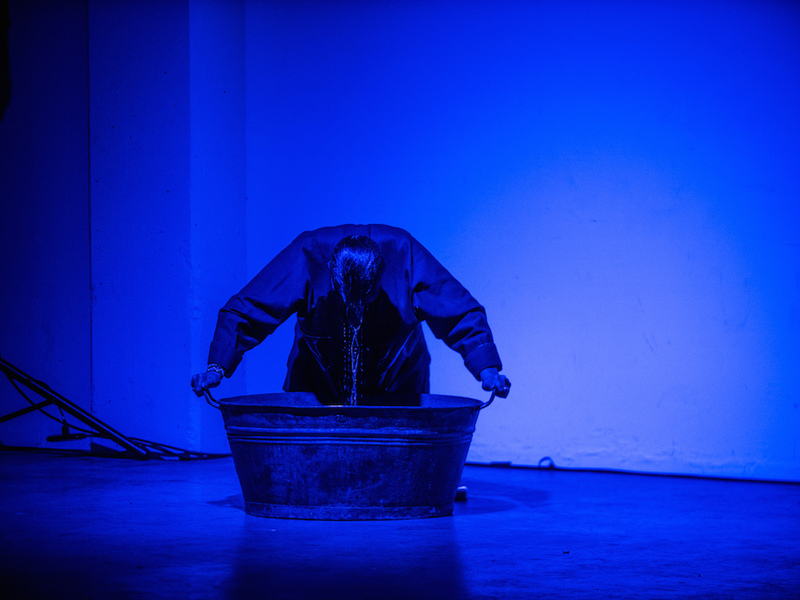 The hallmarks of Louise’s performances include a powerful visual style; a complex consideration of the personal, social and political issues surrounding identity; and an ongoing passion for the rigours of duration, endurance and physical resistance. 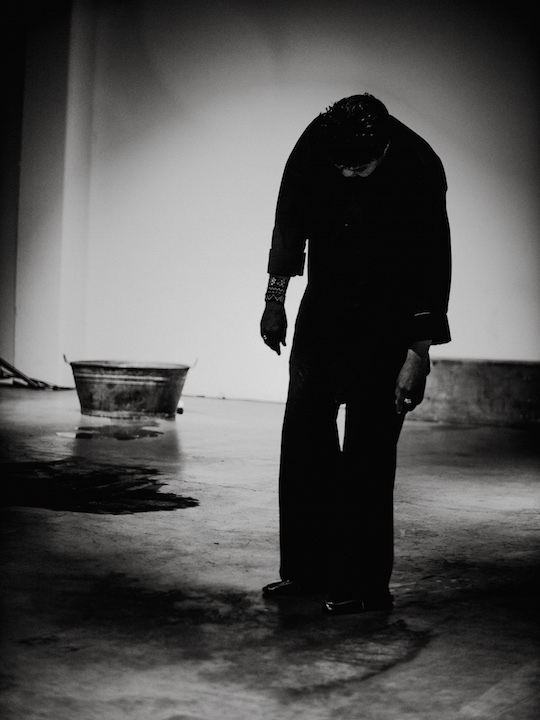 Louise is best known for her visceral performance installations often inspired by classic images from popular culture, art history and the collective unconscious. She has a penchant for interdisciplinary and site-specific work, deftly weaving together various media including painting, sculpture, video projections and sound. Her presence as a performer is always a key element. She performs with intense focus, using techniques of stillness, repetition and contrasting physical tensions to maximum advantage. While writers and curators generally point to Louise’s arresting visual imagery, I believe the greatest strength of her work is in the way that she is able to focus an audience’s perception on what is askew. Her images are complex, invoking what is present but unseen, while at the same time evoking absences that generally go unacknowledged. These qualities provide the depth and layers of meaning that set her work apart.